G.V.Prakash had back to back releases with Kuppathu Raja, Watchman on April 5 and 12 respectively. The actor also has a movie directed by Sasi with actor Siddharth. He is now working on a comedy entertainer with director Ezhil of Thulladha Manamum Thullum, Deepavali fame which has music composed by Satya. In this movie, he is acting with Sathish for the first time and the two seemed to have bonded well which is evident through their twitter posts and social media exchanges. A recent twitter conversation among these two brought the friendly nature between them. 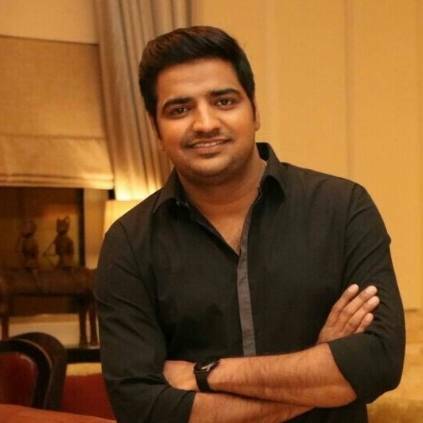 Actor Sathish posted a video in which he is seen hanging out with actress Nikesha Patel on the apparent movie sets and playing some tricks with her. To this, tweet by Sathish, G.V.Prakash replied to the video saying "Director is searching for you". Sathish has in tunr posted "Tell him I'll come". Healthy relationships with co-actors have always resulted in good chemistry between their characters. With G.V.Prakash’ acting career on the rise, we have to wait and see what director Ezhil has offered him and how much will that entertain us. People looking for online information on GV Prakash, S Ezhil, Sathish will find this news story useful.